Brand new drop in class starting 7th July – In Morley! 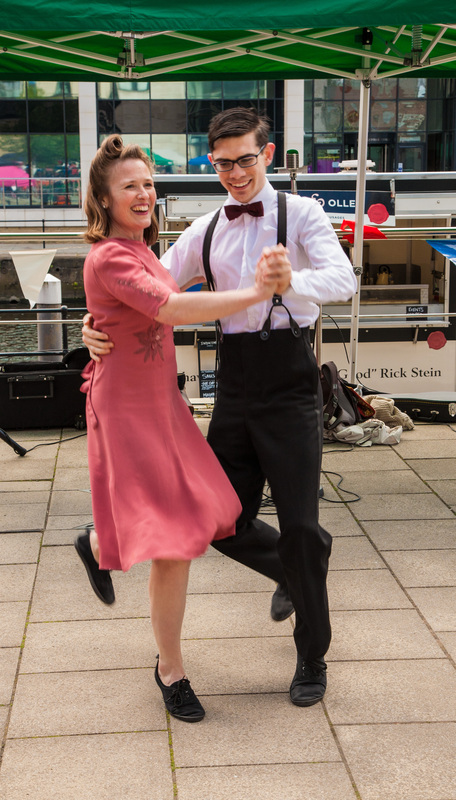 There’s now Lindy Hop in Morley! These will be absolute beginner drop in classes, no need to book, no experience required, no partner needed… just turn up! For anyone who has ever fancied giving this style of dancing a go, maybe looked on with envy at the guys shaking their thang at the vintage fairs – or maybe you just want to try something new and meet some new people – then this class is your chance. The class will be friendly, relaxed and inclusive, no matter how many left feet you have we want you to come down and enjoy yourself. This class will be taught by Rob ant Tina Shield and run every Tuesday 7th July – 28th July to get things started, if enough people are interested we’ll keep it going indefinitely!